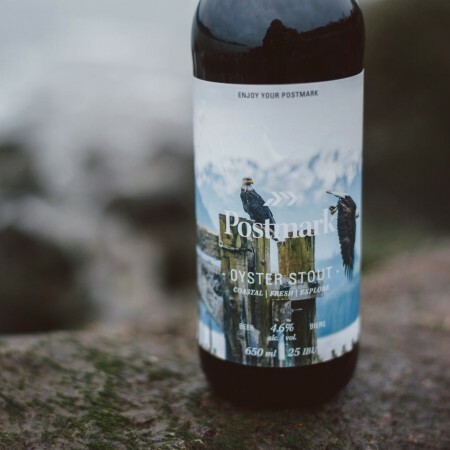 VANCOUVER, BC – Postmark Brewing has announced the release of a new beer created in collaboration with local seafood restaurant and market Fanny Bay Oyster Bar. A unique coastal craft beer experience. In this Oyster Stout we use the shells and brine from the oyster but not the meat. The result of this is an ever so slight saltiness that compliments the roasty notes of this classic Stout. The new beer is available now in 650 ml bottles and on draught at Fanny Bay Oyster Bar, Postmark Brewery and other select locations.